While you may not be able to change the past, with the help of an experienced Florida paternity rights lawyer, you can protect your rights and the rights of your child. By establishing paternity, you will ensure that you will take part in the privileges and responsibilities of parenthood, or get the support you need to raise your child. Father’s Rights: If a child is born to two single parents outside of marriage, in order for a father to be able to claim custody or parenting time, he must establish paternity. With paternity determined, fathers gain the rights of shared parenting that come with legal fatherhood. Child Support: If you are a mother wanting to obtain child support for the child from the father, paternity must be proved. A biological father without legal paternity has no obligation to pay child support. Paternity Fraud: If you have been challenged or charged to pay child support for a child that is not your own, there are legal actions you can take to contest paternity. Presumption of Paternity: In the case of a married couple, Florida courts will presume that the husband is the father of a child. In all cases, you need attorneys who are experienced in Florida paternity rights to guide you swiftly through the process. Whether you wish to establish paternity or contest paternity, we will resolve your case professionally and ethically. Call our firm today to talk with a Florida paternity rights lawyer. Your consultation will be highly confidential and we will give you our undivided attention. We protect the rights of both fathers and mothers. 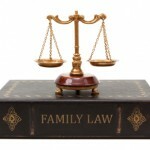 Family Law issues, including paternity rights, are intertwined with other areas of law. Legally assigning paternity, or establishing that someone is not the child’s father, can have far-reaching implications on divorce settlements, estate planning, division of property, child custody and visitation, child support, and the ability to relocate outside of Florida. The effectiveness of our firm comes from full representation in the areas of family law, as well as civil litigation, criminal defense, estate planning, business law, foreclosure defense, bankruptcy and personal injury. Because of our broad experience, we are able to effectively advise clients and consider the full implications of any decision involving paternity. Paternity court can impact your life for decades to come. Do not put your future – or your child's future – at risk by taking care of paternity matters without legal assistance, or avoiding issues of paternity. Contact the Orlando, Florida paternity lawyers at our office about your case and learn how we can help. Please view our Video Channel for more information on Florida paternity rights.